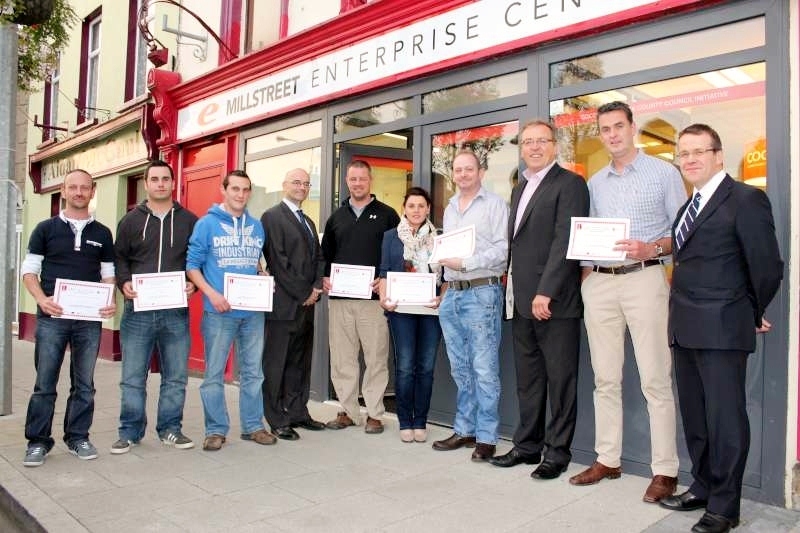 The Cork County Councils Beacon Retail Programme has successfully concluded for 14 Millstreet retailers. The Beacon Retail Programme, which is managed by Padraig O’ Sullivan commenced in the town in mid-April and all of the participants turned out to be presented with their certificates on Tuesday 9th September. During their time on the Programme, Retailers had the opportunity to work with an industry expert who assisted them in identifying their greatest challenges and presented them with a tailored working document to assist in moving their business forward. The Beacon Retail Programme is heavily funded by the Cork County Councils Economic Development Fund and is designed to assist retailers in Cork county to revitalise and grow their business, by analysing all aspects of running a retail business, making expert recommendations and working on a 12 -18 month strategic plan to sustain and take their business to the next level. “We found the overall experience very good, got some great ideas and felt we as a team learnt a lot from this, which has meant an increase in sales” commented the management team in Reen’s Pharmacy. In addition to Millstreet, the Beacon Retail Programme has now been rolled out to several towns across Cork County including Charleville, Ballincollig, Dunmanway, Mitchelstown and Youghal and it is currently ongoing in Macroom, Castletownbere and Cobh. Further information on the Retail Programme can be found on www.beaconinitiative.net or by contacting Padraig O Sullivan on 021 4285140 / mobile 087-773 0019 or by email Padraig.osullivan@corkcoco.ie. This entry was posted in Business Advice, Press, Retail and tagged Beacon Retail, Millstreet, Retailers, Strategic Plan by padraigbeaconinitiative. Bookmark the permalink.